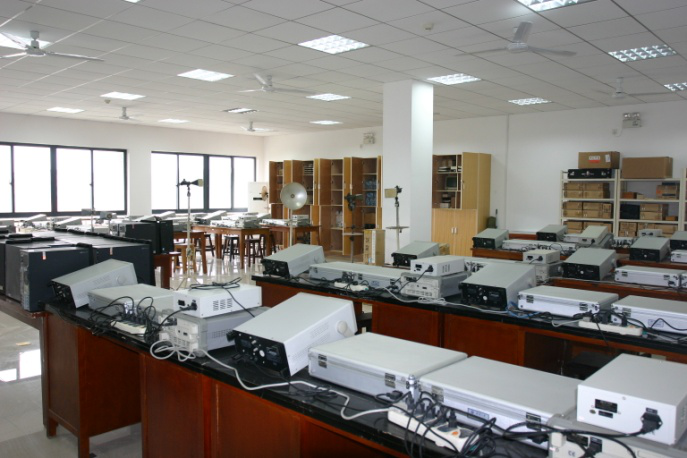 The discipline originated from the Ionosphere Laboratory established in 1945 of Wuhan University. In the early stage, researches were focused on development of china’s nuclear weapons, mainly engaged in the detection of additional ionized areas generated from nuclear explosion, the effect of short-wave communication under the circumstance of nuclear explosion, HF radio detection technology and etc. 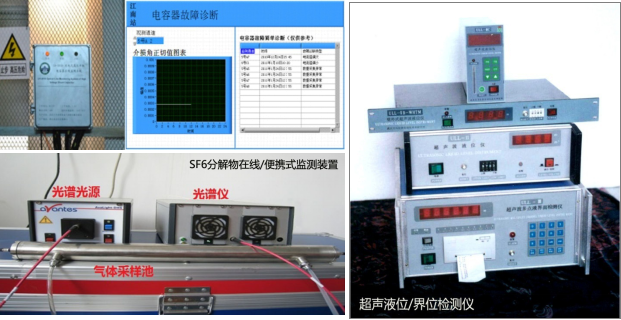 Since the 9th 5-year plan, more researches have been carried out one after another including HF surface wave radar, electromagnetic scattering characteristics of complex objects, geological radar, radar signal detection and processing, etc. In 2001, the subject was authorized as a national key discipline. In the past ten years, the discipline enhanced the primitive new theories and methods research on space and marine environment information by means of electromagnetic wave. At the same time, it pioneered the new system target detection technology research on passive,bistatic/multistatic radar, MIMO radar, expanded and strengthened the basic theories and key techniques research including ionospheric radio wave propagation, target characteristics of electromagnetic scattering, Artificial electromagnetic materials, RF and microwave devices. The discipline is composed of three second level disciplines which are Solid Geophysics, Space Physics, Space Exploration and Technology and Information Processing. Space Physics was approved as one of the first batch PhD degree authorization centers in 1981. Solid Geophysics was approved to be established by the Ministry of Education against the background of interaction between Geodesy and Earth Science and became a DSC (Doctor of Science) degree authorization point in 1997. In 2001, Geophysics was approved to become a first level discipline doctoral degree authorization center. Space Exploration Technology and Information Processing turned into DSC degree authorization center in 2009. This discipline tied for the first place in the National College Discipline Assessments organized by Ministry of Education in 2012. The major consists of two second Level disciplines which are Communication and Information Systems and Signal and Information Processing. 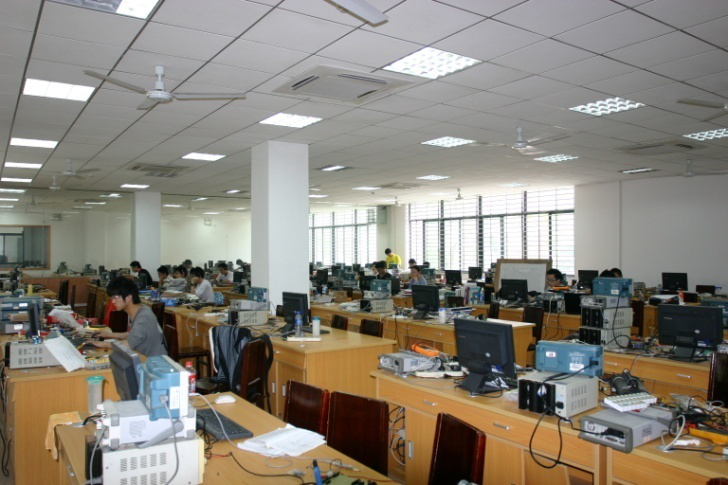 In 1993, the Department Of Electronic Information Engineering, belonging to the former Wuhan University, offered the major of Communication Engineering for undergraduate. It was in the same year that the Department was authorized to grant the Master's degree in Communication and Information Systems. During the same year, the Department of Electronic Engineering, belonging to the former Wuhan Technical University of Surveying and Mapping, was also authorized to grant the Master's degree in Signal and Information Processing. Soon in 2000, the school applied and gained approval for granting doctor’s degree in Communication and Information Systems. Just three years later, it was entitled to the conferment of doctor degree in Signal and Information Processing. In 2005, it was entitled to the conferment of doctor degrees on the first level subjects. The discipline contains four second level disciplines: Physical Electronics, Circuits and systems, Electronics and Solid State Electronics,, Electromagnetic Field and Microwave Technology. The original Wuhan University obtained the Master degree authorization in the Circuits & Systems and the Electromagnetic Field & Microwave Technology in 1990 and 1996 respectively; the original Wuhan Technical University of Surveying and Mapping got the Master degree authorization in the Physical Electronics in 1996. 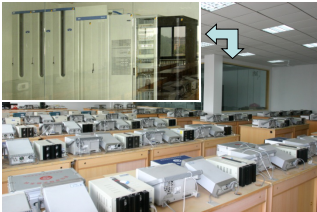 In 2006, Electronics and Solid State Electronics was approved as PhD degree authorization center. In 2010, Electronic Science and Technology was applied and allowed to become a first level discipline doctoral degree authorization center. This discipline dates back to the undergraduate’s major of manufature of Mearsuring Instruments established by the former Wuhan Institute of Surveying and Mapping in 1958, and later it developed into three majors in the 1970s: Optical Surveying Instruments, Optical Instruments and Optical Technology & Opto-electronic Instruments. They were among the first batch of master's degree authorization centers granted by the State Council in 1980, and were renamed as Optical Engineering according to the newly published discipline directory by the State Council in 1998. Optical Engineering is a key construction discipline of the “211 project”. Soon in 2010, it was applied and approved for granting master’s degree on the first level discipline. This disipline covers two second level disciplines: Precision Instrument & Machinery and Measurement Technology & Instrument . 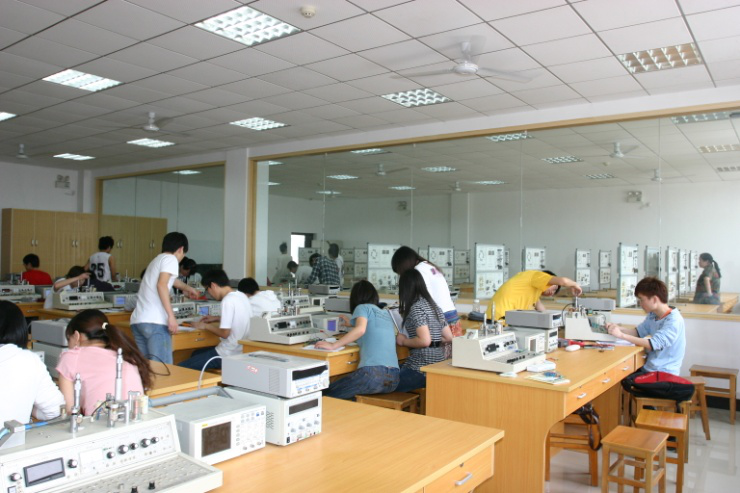 In 1996, the School of Opto-electronic Engineering, belonging to the former Wuhan Technical University of Surveying and Mapping, was authorized to grant the Master's degree in Measurement Technology and Instrument. 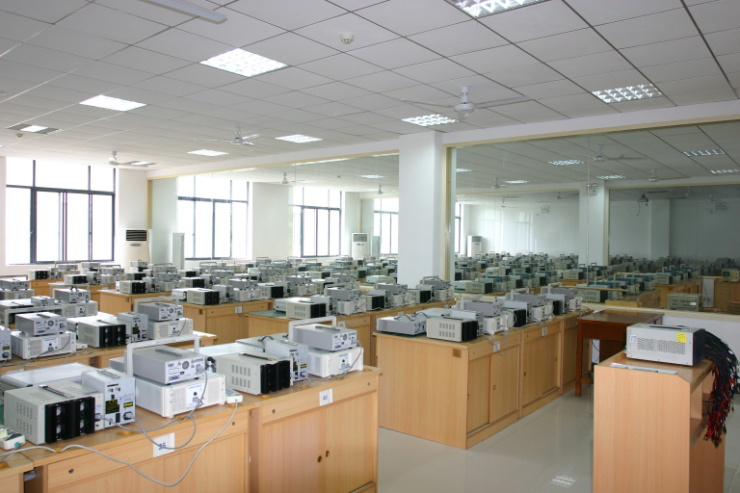 In the same year, the Analysis and Testing Center of Wuhan University also gained the authority. 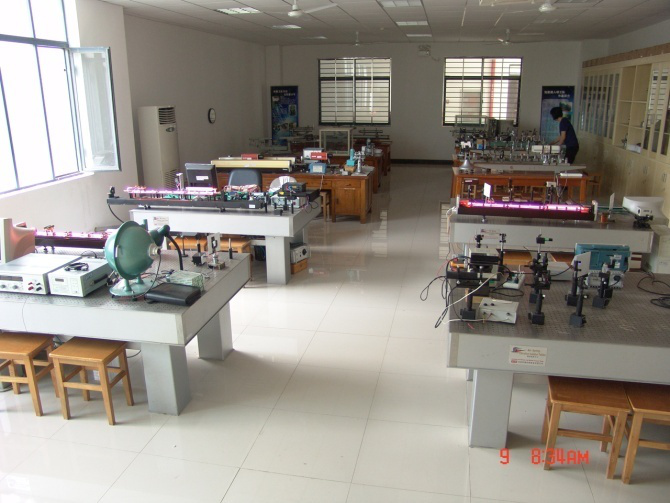 In 2000, it was authorized to grant the Master's degree in Precision Instrument and Machinery. In 2010, the college was entitled to the conferment of master degree on the first level discipline. The discipline is affiliated with the first level discipline of master degree “Control Science and Engineering” . The former Wuhan University of Hydraulic and Electrical Engineering was approved to set up the master degree authorization centers in 1996. The discipline mainly focuses on the research of the general principles and the application of “detection technology and automatic equipments”. The key areas of study consist of the modern sensor technology and sensor networks, the system integration and fault diagnosis technology, the reliability analysis of real-time systems, the modern measuring technology of hydraulic engineering, harbor engineering & port engineering, the on-line monitoring system of electrical equipment, etc. The major is based on modern electronics, computer science and information science. The studies include the principle and architecture of all kinds of communication networks & systems, modern theory & technology of the signal and information acquisition, transmission, storage, transformation, processing and application,cultivate the future leaders in different areas equipped with international vision,critical thinking, innovative spirit and practical ability. The major adopts the modern physics、electronics and information science as the main means, researches the basic design theories,analysis & testing methods and implementation of new technology about modern electronic information system, studies the theories and technologies about the electronic information acquisition, detection, controlling, processing and application, cultivates the future leaders in different areas equipped with international vision,critical thinking, innovative spirit and practical ability. This major is the cradle of talents training in radio wave propagation. Applying the basic theories, methods and experimental methods of Modern Physics and Electronics Information Science, the major mainly studies the radiation, propagation, scattering of electromagnetic wave and their application in communication, radar, remote sensing, navigation and other areas, cultivates the future leaders in different areas equipped with international vision,critical thinking, innovative spirit and practical ability. With the application of basic theories, methods and experimental means of Modern Physics, Optics and Electronic Information Science, this major mainly elaborates interaction between light and matter, the new theory and technique of the opto-electric signal detection, acquisition, transformation, memory, transmission, processing and application. It aims to develop new optoelectronic devices and systems, cultivates the future leaders in different areas equipped with international vision,critical thinking, innovative spirit and practical ability. This major applies the basic theories, methods and experimental means of Modern Physics, Electronic Information Science and Control Science. It is engaged in the basic theories, methods and new techniques of the detection, measurement, monitoring and control of all kinds of physical quantities. It aims to seek for new methods to measure and design new measuring instruments and systems and to cultivate the future leaders in different areas equipped with international vision,critical thinking, innovative spirit and practical ability.